The Kit Cart: ABC BRAG BOOK FREEBIES DAY 23 AND 24! ABC BRAG BOOK FREEBIES DAY 23 AND 24! 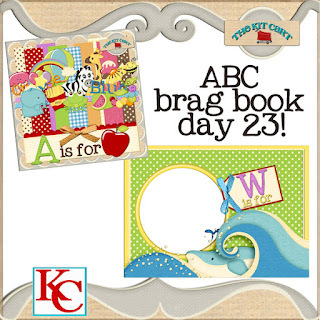 Hi guys, I have two more days of the ABC brag book and then by tomorrow I will have a Facebook Fan freebie on the page and coordinating items on the blog and of course the last two days of the brag book. Whew!! Then I need to clean my house LOL. OH and don't forget about the $1.00 SALE in the store its only through Sunday. Sorry Links Have Expired! thank you so much for the wonderful bb page! I think we are all frantic on INSD weekend! Thank you so much for this post. 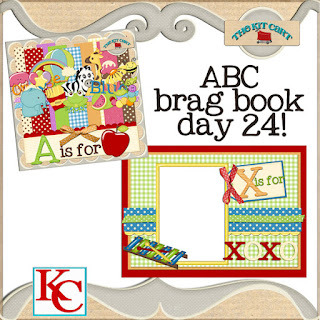 I want to let you know that I posted a link to your blog in CBH Digital Scrapbooking Freebies (please, notice the new url for my blog), under the Page 9 post on May. 05, 2012. Thanks again.